The Alpaca originates from high in the Andes producing a very fine hypoallergenic fibre equal to that of Cashmere. It is three times harder wearing that wool, and will last a lifetime. Alpacas have been established in the UK for about 30 years and number around 35,000. They are the smaller cousin of the Camel and Llama. Alpacas are gentle, intelligent and nosey!. They are relatively easy to keep, but do require regular vaccinations, worming and foot trimming, plus of course the annual visit from the Shearer. They can be kept for their fleece, for showing or as companions. 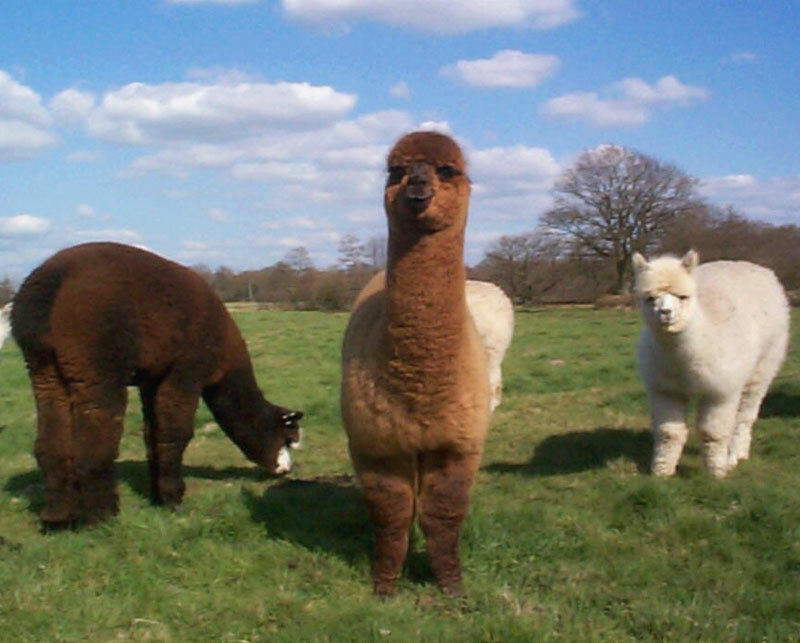 Male Alpacas are often kept with sheep and chickens to protect the flocks from the ravages of foxes. Alpacas get on well with all domesticated animals.